The modern world revolves around security, with CCTV systems and surveillance cameras being almost everywhere you look. It's a trope that has captured the imagination of the entertainment industry - in due course spurning a number of highly successful films and TV shows. 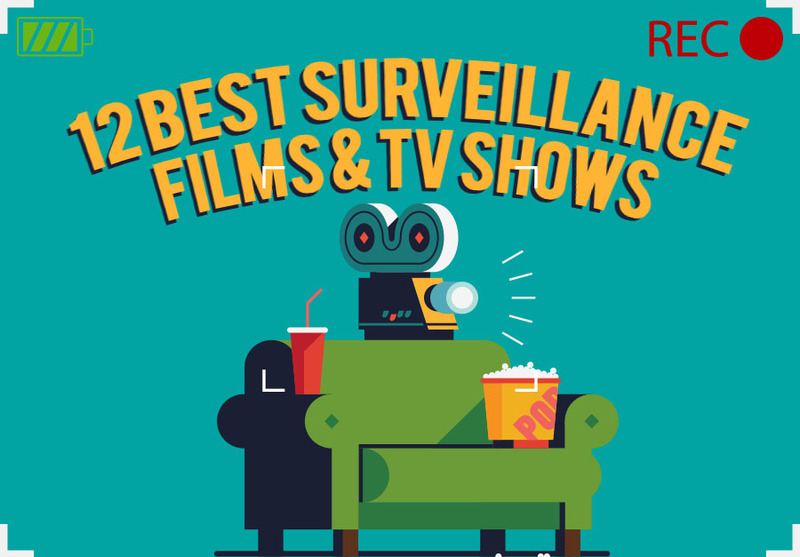 Here's a look at 12 of the best surveillance films and TV shows out there. Person of Interest sees John Reese - played by Jim Caviezel - working to prevent crimes with help from a mass-surveillance computer system known as The Machine. The gripping series aired 103 episodes before coming to a conclusion in June 2016. Mr. Robot sees hacker and cyber security engineer Elliot Alderson (Rami Malek) join a hacktivist group aiming to cancel all debts. The show - which also stars Christian Slater - has so far aired two highly acclaimed series and will be returning with a third in 2017. The Jason Bourne franchise has turned over billions after cinema-goers fell in love with Matt Damon's portrayal of a CIA assassin suffering from memory loss. Some of the best parts of the franchise see Bourne dodging CCTV to go unnoticed. The franchise has been a box office winner since it debuted in 2002.
helpless after modern technology is used to track their entire life - the movie was released in 2008.
the rollercoaster world of the Central Intelligence Agency. The film Closed Circuit starts with a bang when London's Borough Market falls victim to a terrorist attack. A CCTV camera picks up what happens just before the attack, but the case isn't so straightforward. The political thriller was released in 2013. British drama Spooks follows the ups and downs of MI5 officers based in London. Every episode of the drama, which aired on BBC One from 2002 to 2011, featured non-stop drama. The series was widely praised by viewers who couldn't get enough of the storylines and cliffhangers. The show starred Peter Firth and Matthew Macfadyen. American TV series The Wire had viewers absorbed from day one. The crime drama zoomed in on several different aspects of Baltimore, from law enforcement, mass surveillance to government bureaucracy. The show premiered in 2002 and aired its final episode in 2008. Captain America: Winter Soldier puts an action-packed spin on your typical conspiracy film. Yes, it's a superhero film, but there is actually a detailed plot between all the special effects. The film raked in a huge $714 million when it was released back in 2014, starring Chris Evans and Scarlett Johansson. Tom Cruise ushered in the 'cyberpunk' genre when he starred in Minority Report in 2002. The movie revolves around law enforcement officer John Anderton, who panics after AI crime- preventing system Pre-Cogs forecasts he will soon commit a murder. The movie later sparked a short-lived television sequel in 2015. Channel 4 billed Hunted as a 'real life thriller' before it dropped in 2015. The six-part reality series saw 12 civilians being named as 'fugitives' before being tasked with escaping intelligence officers & mass surveillance systems for 28 days. The first season was so popular that a second season has already been commissioned for later this year. It's clear that the entertainment industry has no plans to pull back on the security genre. After all, the aforementioned movies and TV shows have been so wildly successful that it's obvious people still can't get enough. From action and drama to spies, secret agents & surveillance systems, there's certainly something for everyone.